The dual core safety mattress from Obaby is ideal for those wanting to provide their child with optimum support and luxurious levels of comfort during their slumber. For babies, one side of the mattress features an inner core comprised of coconut coir, bonded with natural latex, which provides a naturally springy feel whilst being extremely resilient, durable and breathable. This is then topped with soft and luxurious lambswool that regulates body temperature and moisture for maximum comfort as well as being naturally hypoallergenic. As your child grows the mattress can be flipped, to provide you with a side that offers individual pocket springs to give increased support to your little one’s back, neck and head during sleep, promoting perfect posture and sweet dreams for your little one. 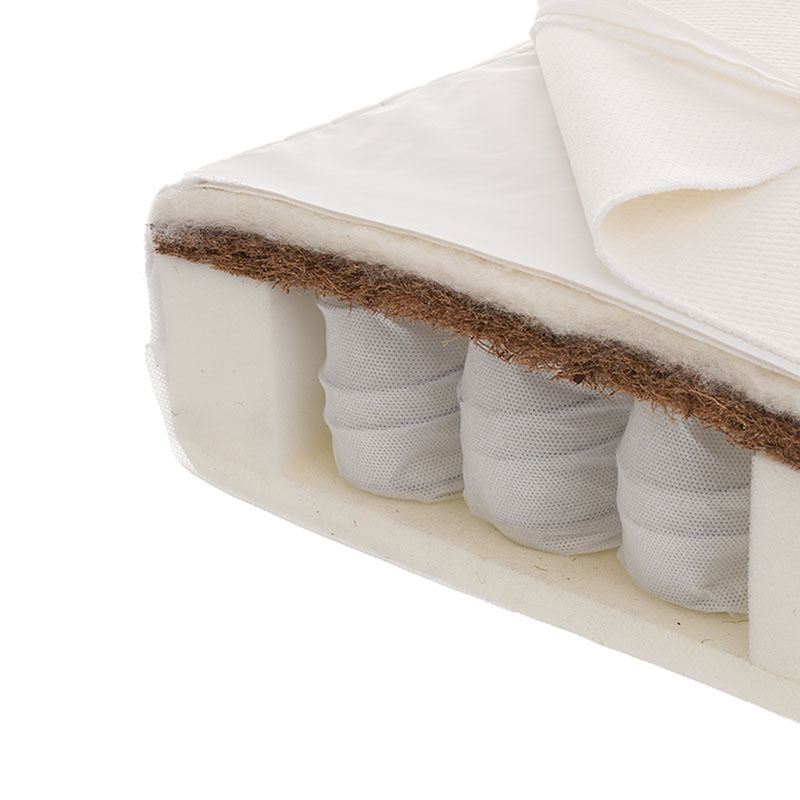 These individual springs are then encased in a high grade of dent resistant nursery foam ensuring superior comfort. The innovative cover features a Tencel fabric top panel which is extremely breathable, allowing more air flow through and moving perspiration away from the body and through the fabric, helping to keep your baby cool and comfortable. This top panel can be removed easily without removing the mattress from the cot/cot bed to reveal the second sleeping surface, a panel made of Polyurethane which is not only soft to the touch, breathable and able to adjust to body temperature quickly but is also waterproof, protecting the mattress from those little accidents. The cover is anti-bacterial, anti-fungal, anti-dust mite and also fully removable and washable at 60ºC so that the piece can be kept fresh. Add to this the removable, water resistant inner cover that can be used as a third sleeping surface whilst the outer cover is being washed and you have a mattress which is perfect for providing a good night’s sleep.